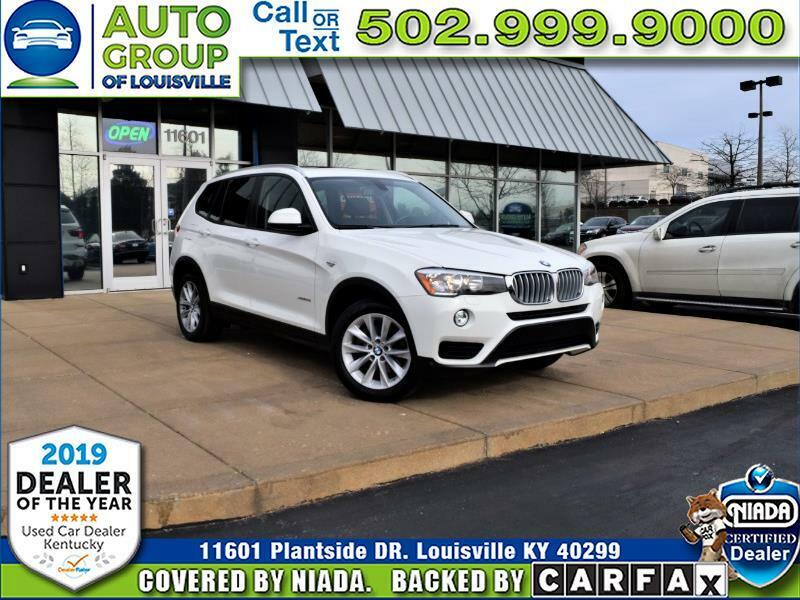 Here's a HOT little 2015 BMW X3 xDrive28i that just arrived here at Auto Group of Louisville! This spunky Turbocharged X3 has a lot to offer it's driver and it's passengers, from the 18-inch wheels, rear privacy glass, automatic headlights, LED foglamps, automatic wipers, a power liftgate, auto-dimming mirrors, cruise control, dual-zone automatic climate control, Heated eight-way power front seats with driver memory functions, a 40/20/40 split-folding rear seat, a leather-wrapped tilt-and-telescoping steering wheel, Bluetooth phone and audio connectivity, the iDrive electronics interface with touchpad controller, and a 12-speaker sound system with a CD player, HD radio, an iPod/USB audio interface and an auxiliary audio jack. Plus you add in the Premium package, which includes the panoramic sunroof, keyless ignition and entry, hands-free tailgate functionality, leather upholstery, satellite radio, four-way lumbar support for the front seats you just can't go wrong with this exceptional X3 from BMW. Come on by 11601 Plantside Drive in historic Jeffersontown Kentucky and let one of our Great, Friendly, Knowledgeable Customer Care Specialist show you this X3 today!